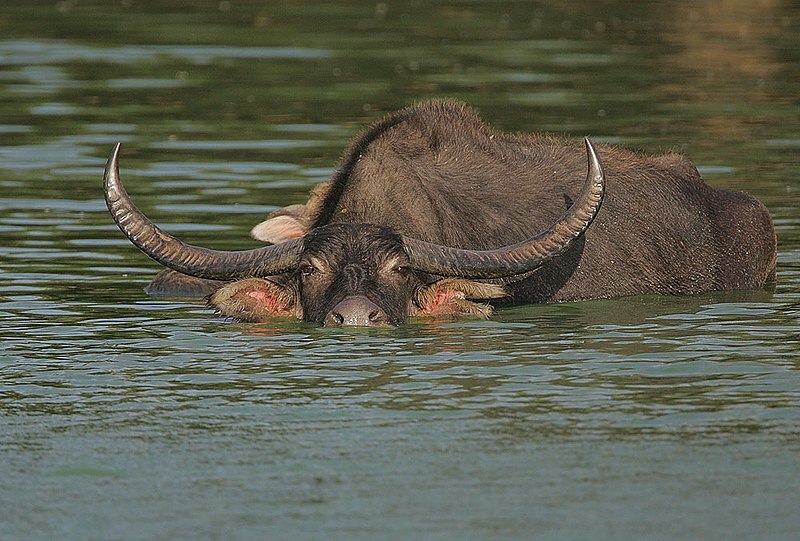 These are large and impressive bovids that never stray far from water. Image taken In Udu Walawe NP, Sri Lanka. This image, originally posted to Flickr, was reviewed on 12 September 2010 by the administrator or reviewer Diaa abdelmoneim, who confirmed that it was available on Flickr under the stated license on that date.